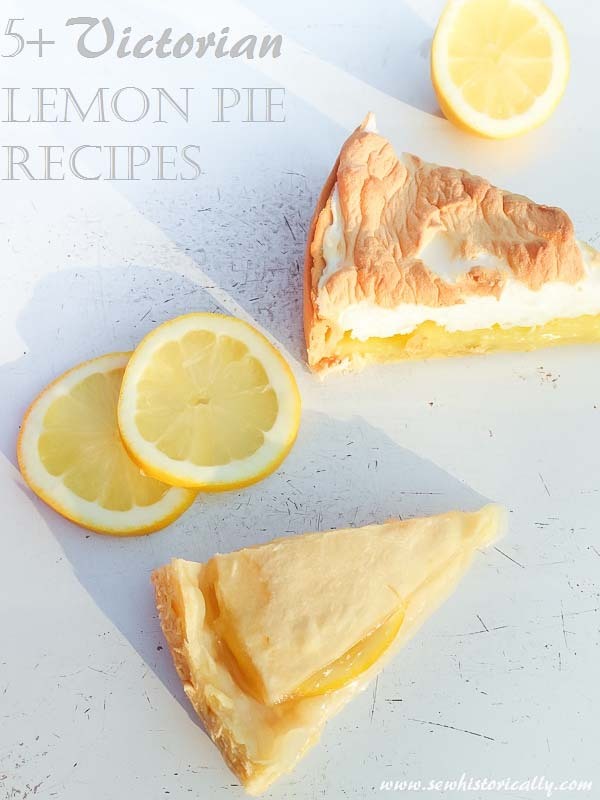 These old-fashioned lemon pies from scratch are a perfect treat for a hot summer day! 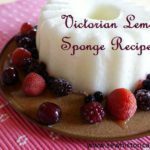 Six different Victorian & Edwardian recipes for lemon pie such as lemon pie with lemon slices, classic lemon tart, lemon meringue pie & lemon cream pie. 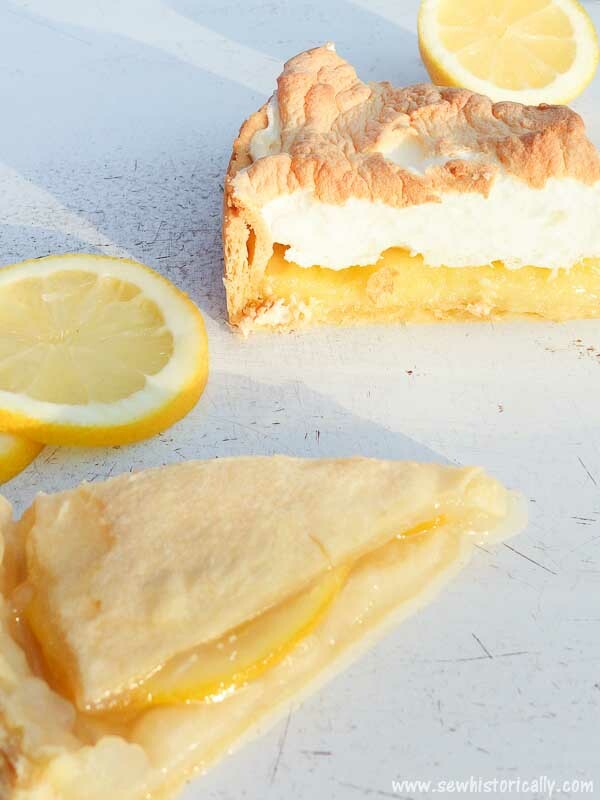 I can’t decide which of the following Victorian lemon pies was my favorite because all were so delicious! 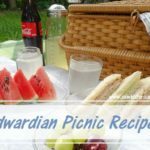 Victorian & Edwardian pie recipes usually don’t say which pie crust to make. 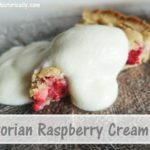 I made an Edwardian pie crust which was so delicious! 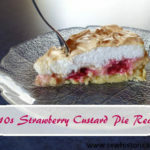 But you can also make a simple 3-ingredient German shortcrust pastry pie crust. Or make a vegan pie crust. 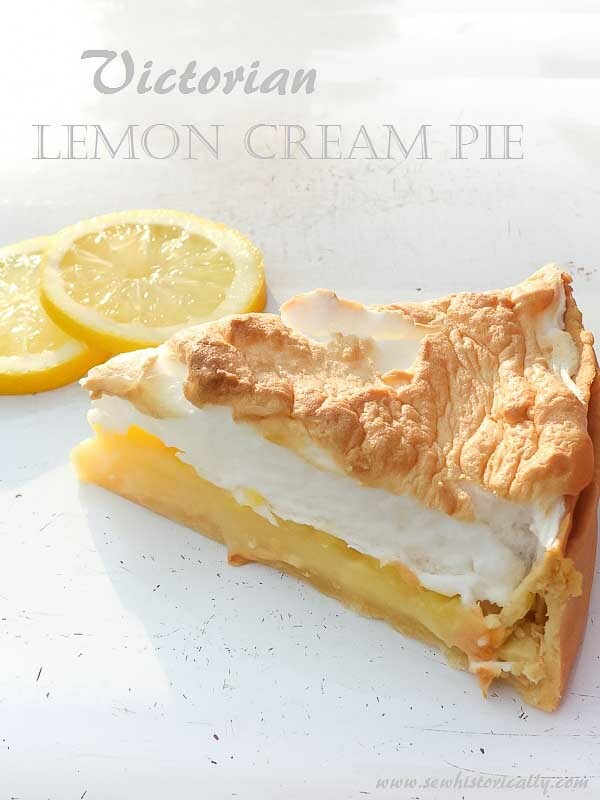 The aquafaba pie crust and the pie crust with soy milk and lemon juice are my favorites! And the easiest pie crust you can make is this cake crumb pie crust which is perfect to use up leftover stale cake! ‘Rub the cornstarch smooth in a little cold water, then add the cup of boiling water. Stir till it boils and cooks the cornstarch. Add the butter and sugar. Remove from the fire, and when partly cool, add the yolk of the eggs, the lemon juice and grated rind. Line a pie tin with crust. Fill with the mixture. Bake until the crust is done. 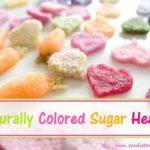 Combine water, sugar and constarch in a saucepan and bring to a boil. While constantly stirring, cook until thickened. Remove from heat, and while still hot, stir in the egg yolks, butter and salt. 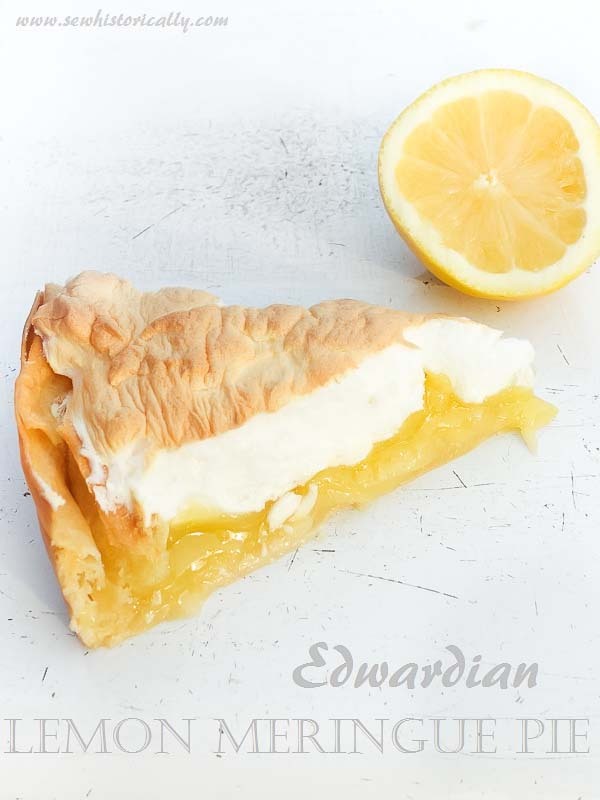 Add the chopped lemon and lemon rind and pour the lemon pie filling into the pie crust. 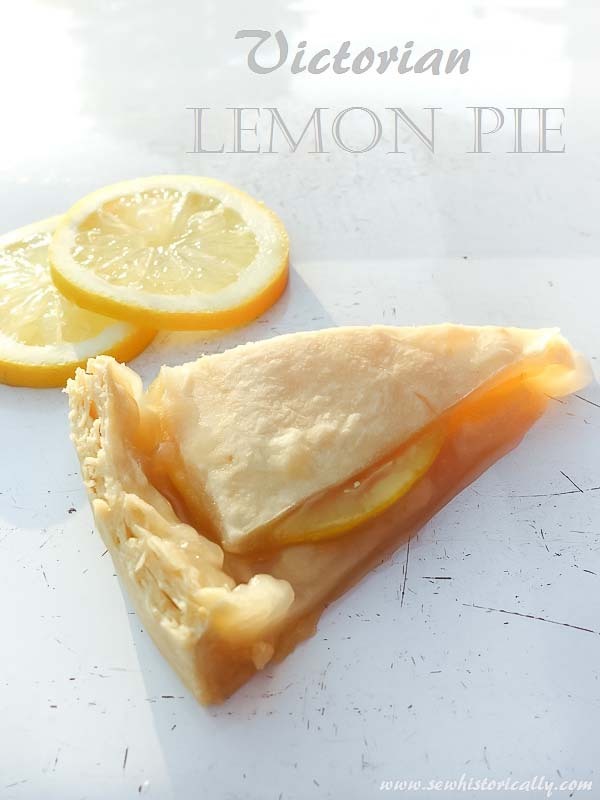 Pour all ingredients for the lemon custard into the pie crust. ‘Stir all the ingredients [for the lemon custard] together. Line a pie tin with crust. Fill and bake until the pie is done.